Over the past 25-plus years of their revered existence, Greek band Rotting Christ have succeeded in creating and nurturing their own unique signature brand of mystical black metal, and now, they themselves are about to embark on a journey that will bring them an experience they’ve never had before. Rotting Christ are all set for a short South-East Asia tour which will include their first ever gig in India at the Bangalore Open Air festival on September 13th alongside German thrashers Destruction, Italy’s Cadaver Mutilator and local support from The Down Troddence, Threinody, Armament and Girish & The Chronicles. 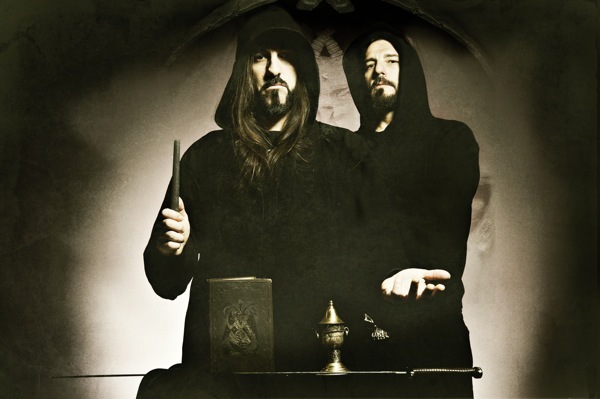 Following this excursion, Rotting Christ will also do a North American run as main support to Belphegor, their first in more than three years. Last week I spoke to frontman Sakis Tolis to discuss Bangalore Open air, the North American tour, latest album and future plans. Enjoy the conversation below. Sakis, it’s great to have you on Metal Assault. I firstly want to talk to you about your involvement in the upcoming Bangalore Open Air festival in India. How are you feeling about that and how did it happen? It’s great that you’re playing there for the firs time ever. Yes, it is a big thing for us. It will be our first visit in India and we look forward to being there because I think we have a lot of things in common with India. If we look at the past, we have a lot of things that were more or less the same in the simultaneous history. India had the great civilization, and us Greeks did too. We’re really excited to be playing there. How familiar are you with the metal scene there? Do you know anything about it at all? We have met the Kryptos guys. We played with them at the Inferno metal festival in Norway, and I think they are a great band. But I don’t know any of the other bands that come from there, although of course I do know that there are a lot of them. I haven’t been able to follow the newcomers, I just know Kryptos. Right, Kryptos are great and have been around for more than 15 years but the scene there is still new and I think you’re playing an important role by performing there because it might inspire people to take up metal. Yeah I know and I feel this. There are not that many metalheads there but the spirit is alive, and we have to be there. Rotting Christ is always there when something great is born. At that show you’ll be sharing the stage with German thrash band Destruction, and that itself is a great combination. Have you played with them on tours in previous years? Not on tours but we have played with them in some festivals. They kick really serious asses! Absolutely. 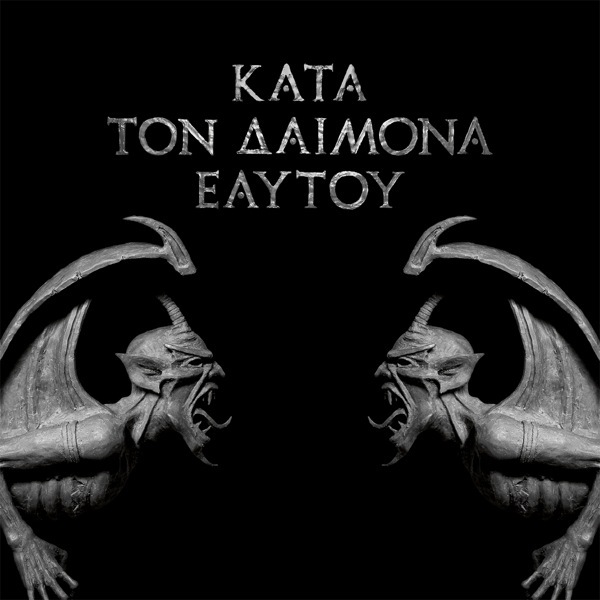 So, what else has been going on with Rotting Christ lately. You’ve been quite busy with festivals this summer, I believe. Yes, very busy doing festivals in European territory but almost simultaneously I’m working on new songs and new ideas, even though it’s hard to compose and catch ideas when I’m on the road. But it’s most important for us to work on new songs and to create an album that will be unique and something that will have a statement to make, and won’t be just another album that follows the Rotting Christ structure. We’d like to create something unique and that’s why it takes us a lot of time. Your previous album ‘Kata Ton Daimona Eaytoy’ came out last year. Are you still playing a lot of songs from it in shows on this touring cycle? Yes, and you know, people ask for more songs from that album, and this is something we have never faced before in our career. It seems like people really liked our last album so we play songs from it in the shows and of course our set list include songs from all of our history. We’ll be playing a one-hour set in Bangalore! It must be good to know that the new album did well enough for people to be demanding its material live. Yes, I don’t know about the States and I don’t think the album did that well in the States but in Europe it did very well. People want to hear songs from it, which makes us very happy because it shows that the band is still alive. Exactly. You mentioned the States and you’ll be doing a tour here very soon as well, with Belphegor, Beheaded and Svart Crown. I think it’s your first tour here since the last time I saw you in Hollywood in early 2011. Yeah, that was the last tour there. We just didn’t happen to play any more shows in the States during this time. But finally we’ll be back and we really look forward to being in LA again too. It’s been more than three years since that 2011 tour. Did you try to make a tour happen sooner than this or were you just waiting for the right tour to be offered? Actually I didn’t pay a lot of attention to the USA market, I don’t know why. It just happened. We had offers to play all over the rest of the world, from Siberia to Ecuador and from North Pole to South Pole, but not really for the USA, so we didn’t seriously consider playing in the USA but now we have to play there and we’d like to be there more often. So from now on you’ll see us more often! That’s good to hear, man. So, after this Bangalore Open Air appearance and the US tour, what plans do you have? I will try to take a break and write new songs but new offers for shows and tours are always coming, and I don’t say no. So the plan is to take a break, but who knows. The thing is, for bands the main way of making money is to play shows and you cannot really say no to shows but that makes it hard to write new songs. Yes, it is hard to write new songs! But to make money is not really our purpose as a band. We’re not here to rip people off. Of course we need some money to pay our bills, that’s all. But this is the spirit for us because don’t forget that we are old-school style boys coming from the late 80s. We grew up with a different ideology, something that’s completely changed nowadays but despite the fact that we need some money, it’s not our purpose. We’re just addicted to playing music in front of people who come and see our band.